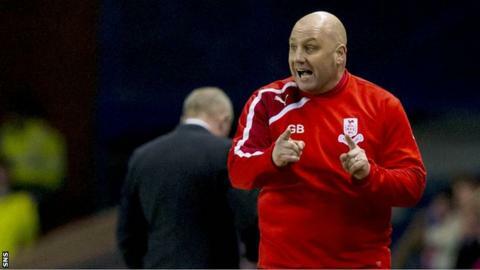 Airdrieonians boss Gary Bollan has been named League One manager of the month for December by the Scottish Professional Football League. His team won two and drew two of their four league matches at the end of last year to pull them away from the relegation play-off place. Airdrieonians secured away draws in December with Brechin City and Forfar Athletic and at home beat Dunfermline 3-1 and Ayr United 3-0.